Tiper makes sounds as you type (confirming key presses.) 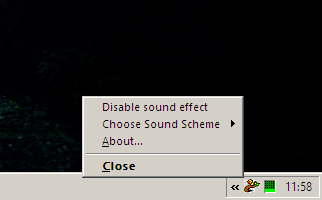 Choose from several sound effects or add your own. How to extract: Download the ZIP package and extract to a folder of your choice. Launch Tiper.exe.